And now, the graphs of the past two weeks. 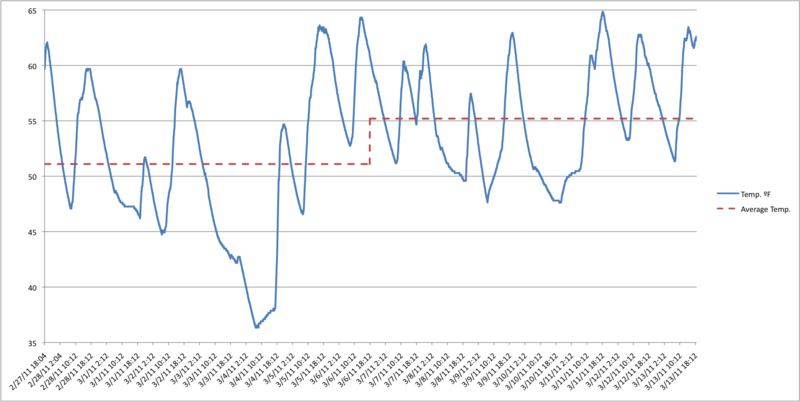 First, the indoor temps, showing the average for each week. Can you guess which night J. went away and left me to my own chilly devices? 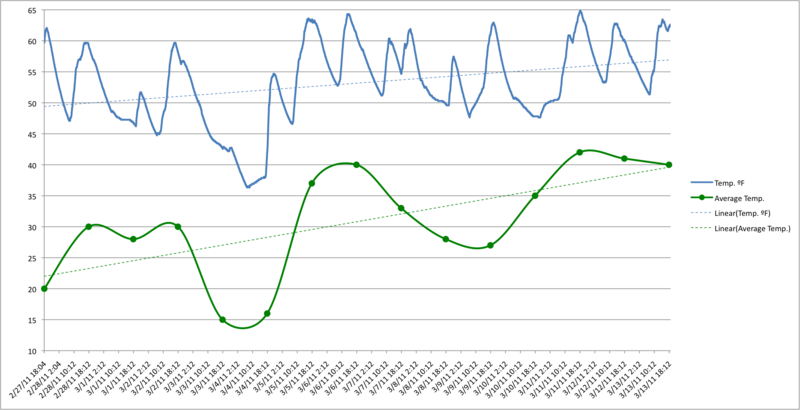 Now for the comparison to average daily outside temperatures, with two week trendlines. As in the last graphs, you can see that it’s warming up both inside and outside… but again, it’s warming faster outside (about 1.2º per day!) then inside (about 0.6º per day.) So that’s still reassuring. This entry was posted on March 15, 2011 at 7:43 pm and is filed under Hard data. You can follow any responses to this entry through the RSS 2.0 feed. You can leave a response, or trackback from your own site. Wait…you let it get to like 35 in the house?